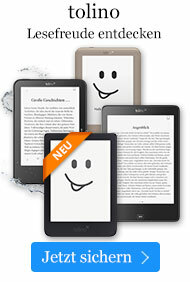 eBook € 5,09* inkl. MwSt. Raimond Le Veq needed to marry to gain his inheritance and restore the fortunes of the House of Le Veq, the proud Black New Orleans family whose wealth had been ravaged by the War Between the States. Still wounded by the double-cross of the only woman he ever came close to loving, he gave the choice of bride to his mother. But he never be expected that she would pick Sable Fontaine--the beautiful former slave he could not allow himself to trust again. Betrayed and sold to a cruel neighbor, Sable did whatever it took escape. With the spirits of her royal African ancestors guiding her, she made a bold bid for freedom, and won. But along the way she had to hurt the charming Union Major Le Veq, who had romanced her and championed her. Now fate has brought them back together in a marriage of convenience. Can she convince Raimond she was never a Rebel spy, and that this time, she'd choose him above all else? Beverly Jenkins is the recipient of the 2018 Michigan Author Award by the Michigan Library Association, the 2017 Romance Writers of America Lifetime Achievement Award, as well as the 2016 Romantic Times Reviewers' Choice Award for historical romance. She has been nominated for the NAACP Image Award in Literature, was featured in both the documentary Love Between the Covers and on CBS Sunday Morning. Since the publication of Night Song in 1994, she has been leading the charge for multicultural romance, and has been a constant darling of reviewers, fans, and her peers alike, garnering accolades for her work from the likes of The Wall Street Journal, People Magazine, and NPR.